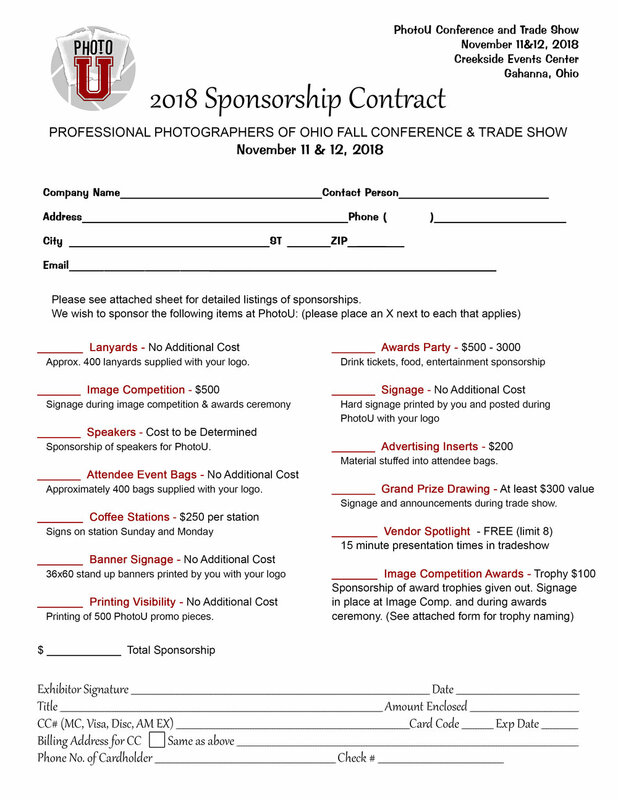 Welcome PhotoU 2018 Exhibitors! Use the resources on this page to prepare for and promote your PhotoU 2018 involvement—so you can have an even more successful, memorable event. Will you be offering a rockin’ show special? Announcing a new product? Let photographers know why they can't miss seeing you at the PhotoU, and they will plan accordingly. While your company should send out emails and add announcements to your website, blogs, Twitter accounts and Facebook pages, consider letting us know and we'll help you drum up attention and excitement. We'll post it on the the web page, increasing your exposure even more. Make your hotel reservations by clicking on the link below!